I am young at heart; I love to travel, meet interesting people and discuss ‘spiritual’ stuff. I am also a fan of Radhanath Swami. 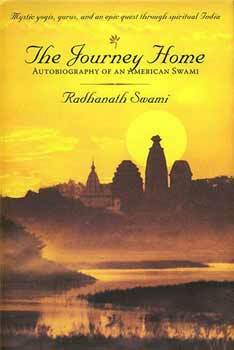 Radhanath Swami’s memoir, “The Journey Home- Autobiography of an American Swami” has touched my heart deeply. Here I share my meditations on his autobiography. ‘The journey Home’ Book is an engaging, humorous and heart-warming account of a young nineteen year old’s quest for spiritual enlightenment. The reader follows Richard Slavin from the suburbs of Chicago to the caves of Himalayas as he goes through a variety of exciting adventures; some near-death encounters and many spiritual experiences. Regular reading of this all-time classic has helped me draw spiritual lessons and seek constant inspiration in my own spiritual journey. Each post on this blog first summarizes a story from the book. I then offer my humble realizations on the same. 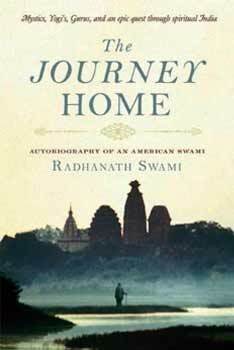 In some of the meditations I have shared my observations of Radhanath Swami as a person, while in other meditations I comment and discuss about life and the world in general based on principles shining forth through the ‘Journey Home’ narrative. In a few other meditations I also share my own unforgettable exchanges with Radhanath Swami in our little monastery, frequented by Radhanath Swami during his tours. I thank you for reading my meagre realizations and appreciation for ‘Journey Home’ and Radhanath Swami. I recommend you read the autobiography of Radhanath Swami; your life wouldn’t be the same again. I invite you to also share your meditations on this extraordinary piece of literature that has blessed our planet.